Cloud Security Assessment | Qualys, Inc. Continuously monitor and assess your cloud assets and resources for misconfigurations and non-standard deployments. Qualys Cloud Security Assessment boosts the security of your public clouds by identifying threats caused by misconfigurations, unwarranted access, and non-standard deployments. It automates security monitoring against industry standards, regulatory mandates and best practices to prevent issues like leaky storage buckets, unrestricted security groups, and crypto-mining attacks. With Qualys Cloud Security Assessment, you can quickly find out the root cause of incidents. By crafting simple yet powerful queries, you can search through the complete cloud resource inventory. The results show assets’ configurations and complex associations. With this information, you can also identify similar assets and mitigate issues in a unified way. Qualys Cloud Security Assessment lets you integrate security into your DevOps pipeline, automating security checks, identifying and eliminating issues, and standardizing deployment templates to make production environments more secure. 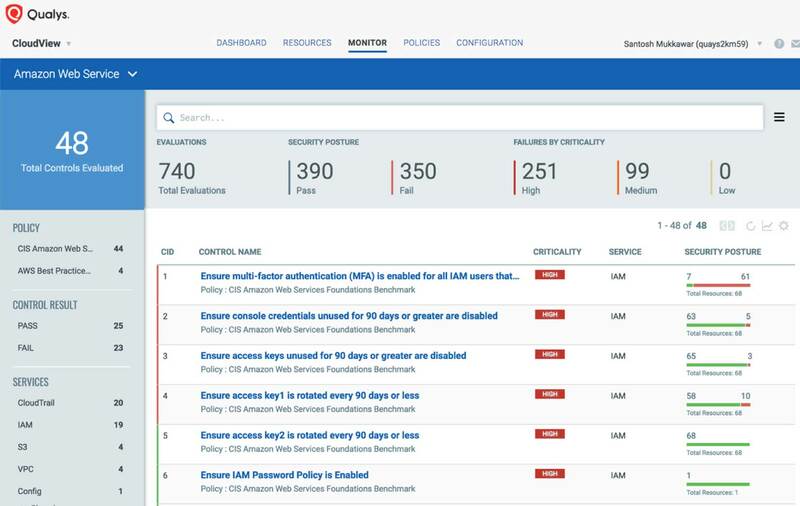 Qualys Cloud Security Assessment features are supported via REST APIs for seamless integration with the CI/CD tool chain, providing DevSecOps teams with an up-to-date assessment of potential risks and exposure. 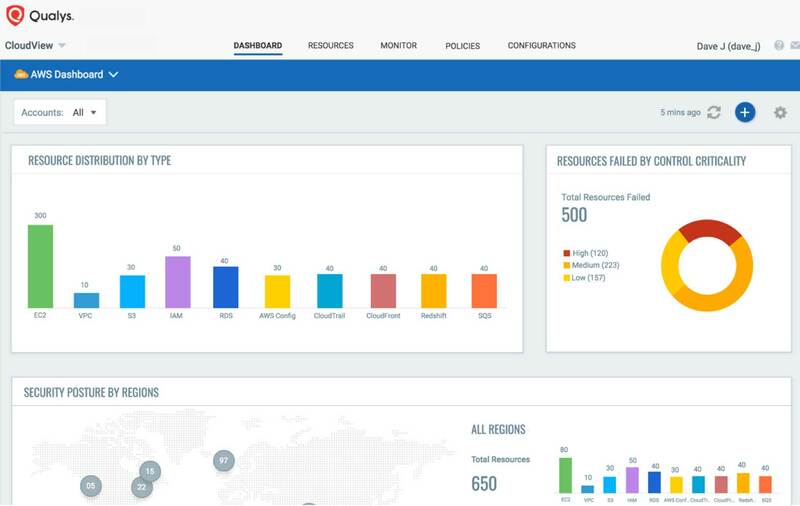 Qualys Cloud Security Assessment gives you an “at-a-glance” comprehensive picture of your cloud inventory, the location of assets across global regions, and full visibility into the public cloud security posture of all assets and resources. Qualys Cloud Security Assessment runs continuous security checks on your cloud assets and resources. The data is quickly synchronized for new and updated assets. The analysis provides clear evidence of security and compliance issues, and offers remediation methods to mitigate issues. 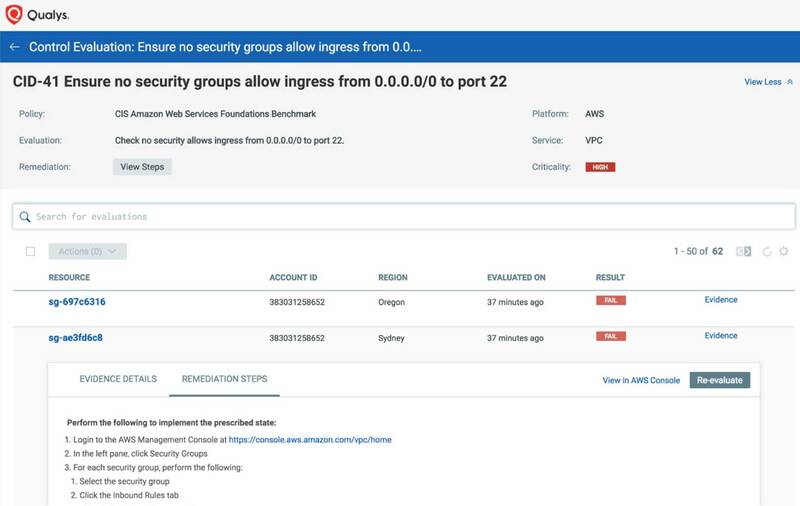 Qualys Cloud Security Assessment fully supports REST APIs for seamless integration with the CI/CD tool chain, providing DevSecOps teams with real-time assessments of potential risks and exposures, so that they can mitigate risks before deploying apps into production. This also enables integration with GRC, SIEM, and ticketing service providers to help InfoSec teams automate process threats and remediation.